On 5th August 1864 a fleet of eighteen Union ships under Rear Admiral David G. Farragut entered Mobile Bay, Alabama on the Confederacy’s Gulf Coast. Their aim was to put the port out of action as a centre for blockade running. 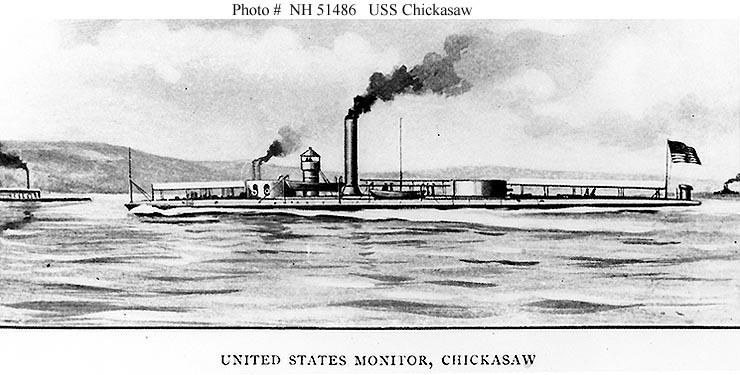 The fleet passed under ferocious fire from Forts Gaines and Morgan- and through a minefield- before engaging Confederate vessels, including the ironclad CSS Tennessee. After heavy fighting they won a victory which ultimately led to the closing of Mobile to blockade runners. It also represented an important boost for Abraham Lincoln in the run up to the U.S. Presidential Election. A large number of Union servicemen who participated in the engagement received the Medal of Honor. 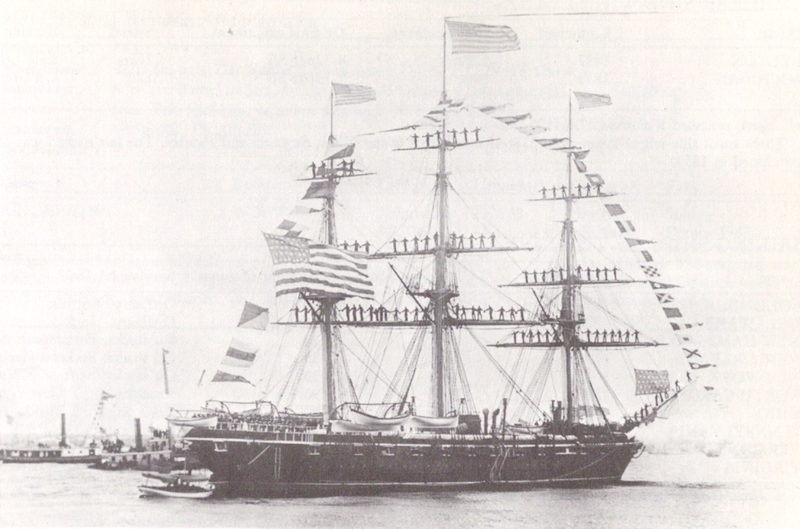 Among them were 14 Irish-born sailors and marines. The battle, which took place 150 years ago this week, still represents the largest number of Medal of Honor awards to Irishmen for a single action. Given that c. 20% of the Union Navy was Irish-born, it is perhaps somewhat surprising how little attention is given to them by those interested in Irish maritime history. Irishmen were spread throughout all the ships of David Farragut’s fleet. The 14 Medal of Honor recipients were likewise positioned on a number of different vessels; they are each recorded below organised by the ship on which they served at Mobile Bay. Where I have been able to locate their original enlistment details I have included physical descriptions of the men. If you would like to read more about the Battle of Mobile Bay itself, see the Civil War Trust page on the engagement here. Born in Ireland in 1837. Formerly a Cook. Blue eyes, brown hair, light complexion, height 5 feet 6 inches. Received Medal of Honor on 31st December 1864. Died in the Soldier’s Home, Hampton, Virginia on 18th March 1908. Buried in Hampton National Cemetery, Hampton, Virginia. Citation: Served on board the U.S.S. 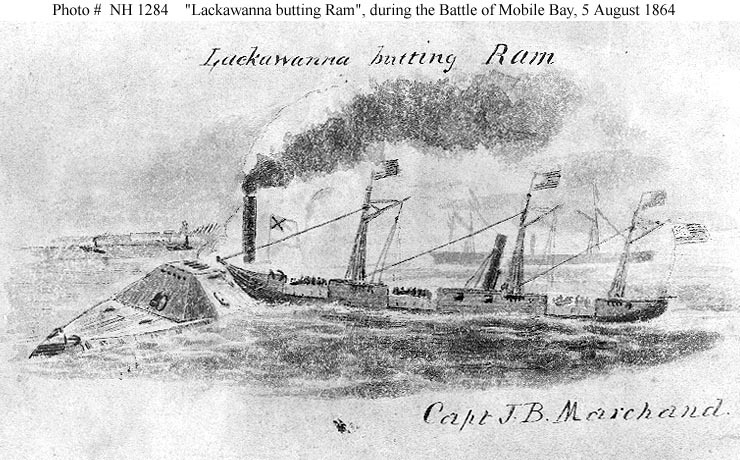 Lackawanna during successful attacks against Fort Morgan, rebel gunboats and the ram Tennessee, in Mobile Bay, 5 August 1864. Displaying great coolness and exemplary behavior as first sponger of a gun, Cassidy, by his coolness under fire, received the applause of his officers and the guncrew throughout the action which resulted in the capture of the prize ram Tennessee and in the destruction of batteries at Fort Morgan. Born Ireland in 1844. Formerly a Cooper. Grey eyes, dark brown hair, florid complexion, height 5 feet 4 1/2 inches. Scar on right middle finger, mole on the right side of neck. Received Medal of Honor on 31st December 1864. Citation: As a landsman on board the U.S.S. Lackawanna, Dougherty acted gallantly without orders when the powder box at his gun was disabled under the heavy enemy fire, and maintained a supply of powder throughout the prolonged action. Dougherty also aided the attacks on Fort Morgan and in the capture of the prize ram Tennessee. Born in Co. Dublin, Ireland in 1832. Actual name was John Laver Mather. Received Medal of Honor on 31st December 1864. Died on the 22nd August 1891 and is buried in Cypress Hills National Cemetery, Brooklyn, New York. Citation: On board the U.S.S. Brooklyn during action against rebel forts and gunboats and with the ram Tennessee, in Mobile Bay, 5 August 1864. Despite severe damage to his ship and the loss of several men on board as enemy fire raked her decks from stem to stern, Cooper fought his gun with skill and courage throughout the furious battle which resulted in the surrender of the prize rebel ram Tennessee and in the damaging and destruction of batteries at Fort Morgan. Served as quartermaster on Acting Rear Admiral Thatcher’s staff. During the terrific fire at Mobile, on 26 April 1865, at the risk of being blown to pieces by exploding shells, Cooper advanced through the burning locality, rescued a wounded man from certain death, and bore him on his back to a place of safety. Born in Co. Sligo, Ireland in 1834. Received Medal of Honor on 31st December 1864. Died on 28th December 1891 and is buried at Maple Hill Cemetery, Charlotte, Michigan. Born in Co. Kildare, Ireland in 1841. Blue eyes, brown hair, florid complexion, height 5 feet 4 1/2 inches. Received Medal of Honor on 31st December 1864. Died on 14th September 1895 and is buried in Wyoming. Citation: On board the U.S.S. 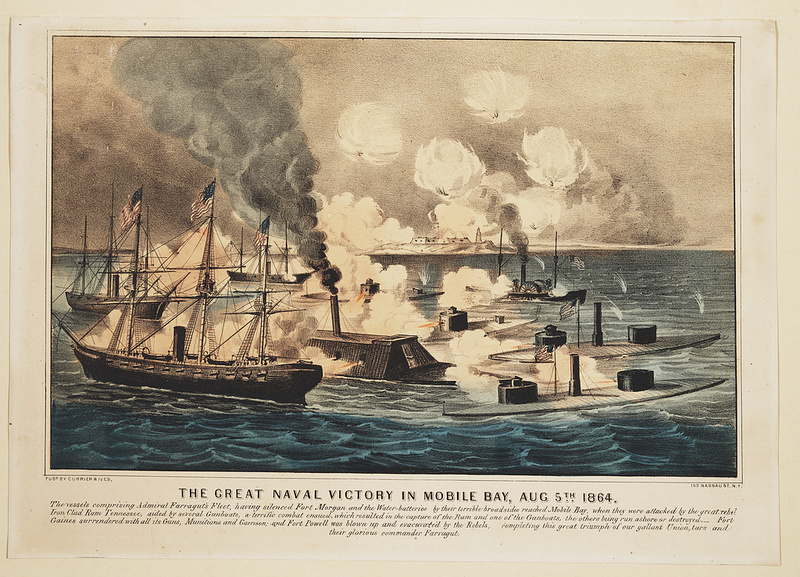 Richmond during action against rebel forts and gunboats and with the ram Tennessee in Mobile Bay, 5 August 1864. Although knocked down and seriously wounded in the head, Doolen refused to leave his station as shot and shell passed. Calm and courageous, he rendered gallant service throughout the prolonged battle which resulted in the surrender of the rebel ram Tennessee and in the successful attacks carried out on Fort Morgan despite the enemy’s heavy return fire. Born in Co. Derry, Ireland in 1826. Received Medal of Honor on 31st December 1864. Died on 29th October 1895 and is buried in Mount Moriah Cemetery, Philadelphia, Pennsylvania. Born in Ireland, 1840. Blue eyes, black hair, ruddy complexion, height 5 feet 8 1/2 inches. Had smallpox scars. Lost both arms as a result of the engagement. Received Medal of Honor on 31st December 1864. Died on 23rd November 1904 and is buried in St. Vincent’s Cemetery, Vallejo, California. Citation: On board the flagship U.S.S. Hartford during successful attacks against Fort Morgan, rebel gunboats and the rebel ram Tennessee, Mobile Bay, 5 August 1864. With his ship under terrific enemy shellfire, Dunphy performed his duties with skill and courage throughout this fierce engagement which resulted in the capture of the rebel ram Tennessee. Born in Ireland, 1842. Formerly a laborer. Blue eyes, brown curly hair, fair complexion, height 5 feet 8 3/4 inches. Received Medal of Honor on 31st December 1864. Died in New York in 1899. Citation: On board the flagship U.S.S. Hartford, during successful attacks against Fort Morgan, rebel gunboats and the ram Tennessee in Mobile Bay on 5 August 1864. 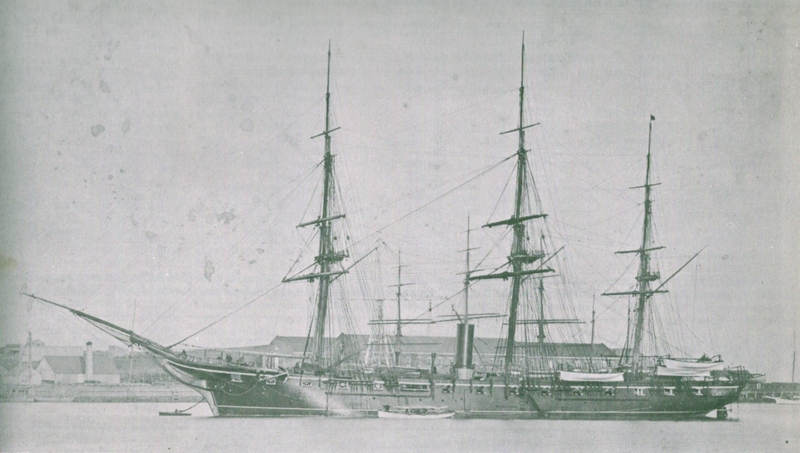 Although a patient in the sick bay, O’Connell voluntarily reported at his station at the shell whip and continued to perform his duties with zeal and courage until his right hand was severed by an enemy shellburst. Born in Ireland, 1832. A mariner by profession. He had hazel eyes, dark hair and a dark complexion, height 5 feet 9 1/2 inches. Enlisted from New York’s Fourth Congressional district. Received Medal of Honor on 31st December 1864. Date and place of death unknown. Citation: As seaman on board the U.S.S. 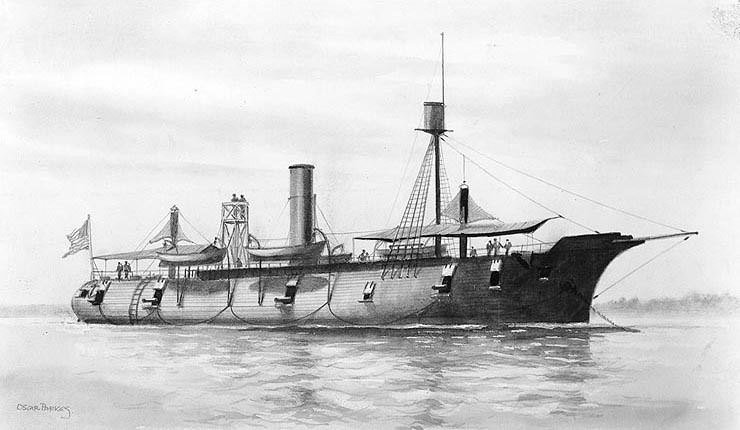 Galena in the engagement at Mobile Bay, 5 August 1864. Serving gallantly during this fierce battle which resulted in the capture of the rebel ram Tennessee and the damaging of Fort Morgan, Gardner behaved with conspicuous coolness under the fire of the enemy. Born in Ireland, 1840. Received Medal of Honor on 22nd June 1865. Died on 23rd December 1901 and is buried in Cypress Hills National Cemetery, Brooklyn, New York. Citation: On board the U.S.S. Galena during the attack on enemy forts at Mobile Bay, 5 August 1864. 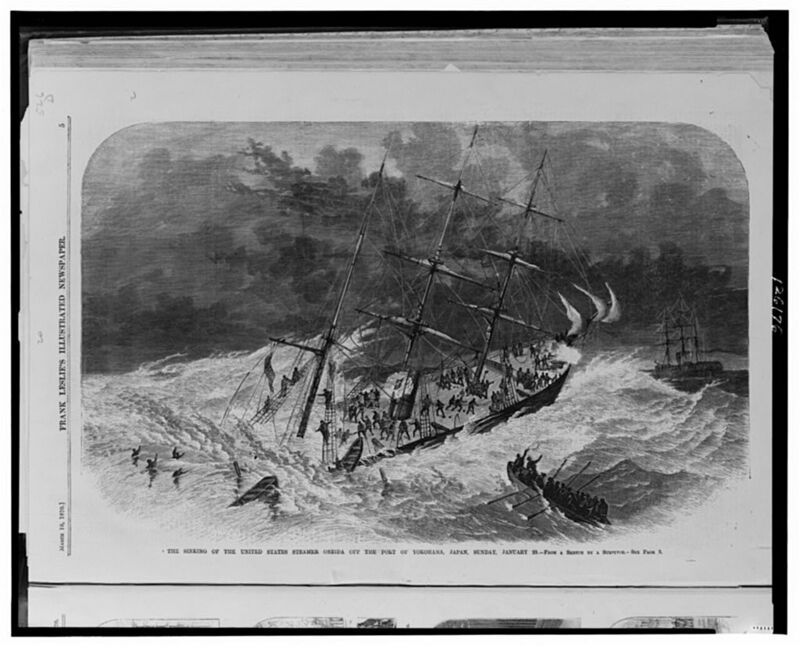 Securely lashed to the side of the Oneida which had suffered the loss of her steering apparatus and an explosion of her boiler from enemy fire, the Galena aided the stricken vessel past the enemy forts to safety. Despite heavy damage to his ship from raking enemy fire, Martin performed his duties with skill and courage throughout the action. Born in Co. Limerick, Ireland, in 1835. He had hazel eyes, black hair and a dark complexion, 5 feet 5 inches in height. Bore a tattoo with the initials ‘A.J.’ on his left forearm. Received Medal of Honor on 31st December 1864. Place and date of death unknown. Born in Co. Waterford, Ireland in 1823. A long time mariner. He had blue eyes, brown hair and a fair complexion, 5 feet 8 inches in height. Patrick was described as ‘baldheaded’ and ‘corpulent.’ Received Medal of Honor 31st December 1864. Died on 1st December 1896 and is buried in Trinity Cemetery, Erie, Pennsylvania. Citation: Served as boatswain’s mate on board the U.S.S. 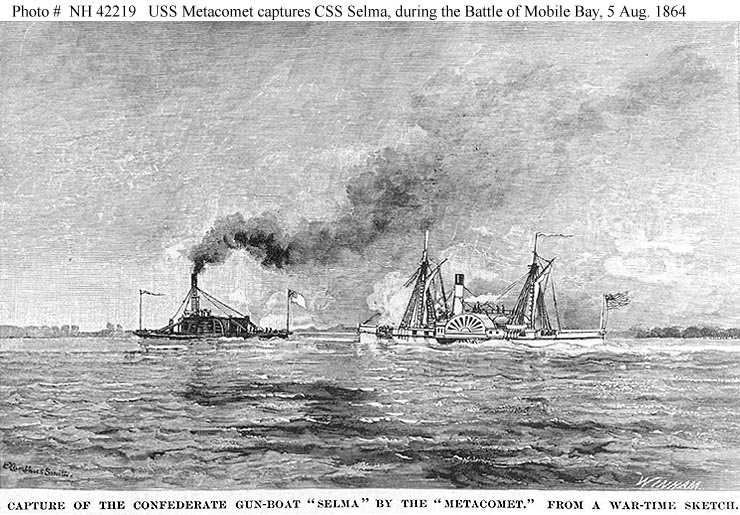 Metacomet, during action against rebel forts and gunboats and with the ram Tennessee in Mobile Bay, 5 August 1864. Despite damage to his ship and the loss of several men on board as enemy fire raked her decks, Murphy performed his duties with skill and courage throughout a furious 2-hour battle which resulted in the surrender of the rebel ram Tennessee and in the damaging and destruction of batteries at Fort Morgan. Born in Ireland, 1841. Recrding as having no profession on enlistment. 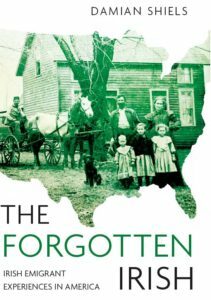 He had hazel eyes, black hair and a swarthy complexion, 5 feet 7 3/4 inches in height. Received Medal of Honor 31st December 1864. Date and place of death unknown. Citation: Served on board the U.S.S. Oneida in the engagement at Mobile Bay, 5 August 1864. 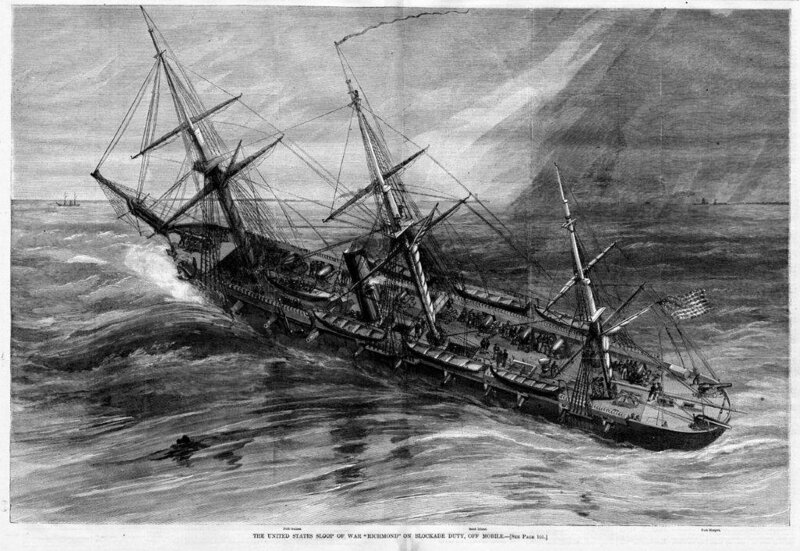 Severely wounded, Preston remained at his gun throughout the engagement which resulted in the capture of the rebel ram Tennessee and the damaging of Fort Morgan, carrying on until obliged to go to the surgeon to whom he reported himself as “only slightly injured.” He then assisted in taking care of the wounded below and wanted to be allowed to return to his battle station on deck. upon close examination it was found that he was wounded quite severely in both eyes. Born in Co. Dublin, Ireland in 1835. Received Medal of Honor on 31st December 1864. Died on 24th February 1873 and is buried in Calvary Cemetery, Roslindale, Massachusetts. Lang, G., Collins, R.L., White, G.F. 1995. Medal of Honor Recipients 1863-1995 Volume 1.